What better way to end Paris Week than with a fabulous meal? Today the chef has prepared for you a feast for mind, body, and spirit centered on the joys of Paris and all that she has to offer. It may not seem right to start with this little book of pastry shops, but Cahill’s pocket-sized book is the perfect starter, leading to Paris’ finest and grandest patisseries. Arranged by arrondissement, the book includes not only charming write-ups of each delicious little store, but also interviews, information about classic French pastries (like the Madeline and the difference between glace and gelato), as well as gorgeous photos. 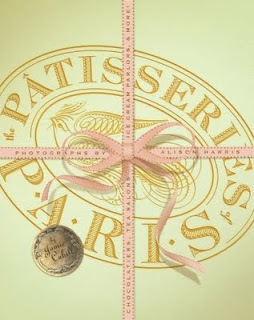 My only complaint about The Patisseries of Paris is that it does not include maps. C’est la vie! Long before names like Emeril, Giada, and Julia were household names, there was Antonin Careme – chef to the French kings and queens during the late 18th and early 19th centuries. 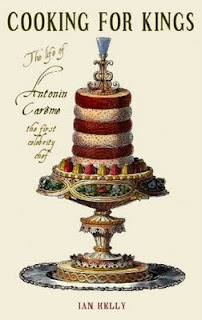 Antonin Careme shaped cuisine from the way courses are served to the setting of tables – effects of which linger today. Recipes and menus from the chef’s kitchen, letters, and even drawings fill Kelly’s book chronicling Careme’s life. The fascinating story illustrates the political and economic power wielded by a man who spun gigantic sugar extraordinaires for the likes of the Napoleon and Josephine, Tallyrand, and Tsar Alexander. No French meal would be complete without wine, and Wine and War is a delicious tale filled with intrigue, daring, and danger. When the Germans occupied France, one of their first acts was to seize the French wine stores and production and attempt to export their booty back to Germany. Some complied, but even more did not, and the lengths to which they went to save a national treasure make for a rich and satisfying read. Marie Antoinette arrived in France as a fourteen year-old girl who was stripped of every reminder of her native Austria at the French border and married to a fifteen year-old prince. What unfolds in Naslund’s telling is a story of longing, naivete, and loss leading, as we all know, to the executioner’s scaffold. 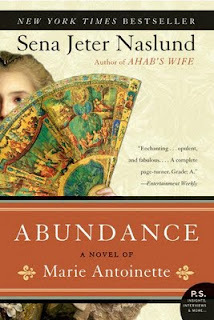 Despite the foregone conclusion, though, Abundance is aptly named – a deep and filling portrait of a woman oft villainized and barely understood. Ah! 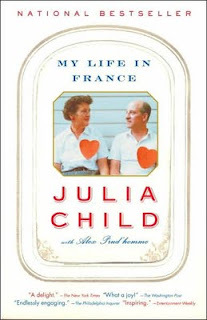 After war and revolution, appetizers and mains, enter Julia Child. The famous American chef moved to Paris in 1948. The war was over. Paul, Julia’s husband, was a diplomat in Paris, and she was looking for something to do. In the end she learned to cook, collaborated on a cook book, and changed American cooking habits forever. But My Life in France is about so much more than food. It is a joyful look at Paris as it healed from the war and the Parisians Child came to love. A French cheese course is never trite nor cheesy and neither is Rebecca Ramsey’s book, French by Heart. Ramsey, her husband, and her children moved from South Carolina to France for a four-year odyssey. The tales of her children, their neighbors, and the challenges of moving a family to a foreign country are funny, sweet, sad – sometimes all at once. Even the simplest of tasks can be a challenge, but Ramsey’s plucky telling is filled with a joie de vivre which is contagious. 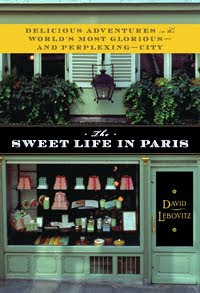 What books about Paris or France do you love? Share them below, and we will add them to the feast. 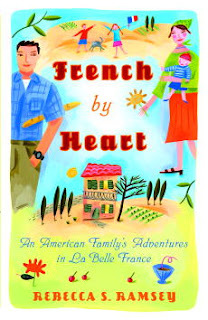 I LOVED French by Heart by Rebecca Ramsey. It was so charming. I have the Sweet Life on my bedside table waiting to be read! Angela, thanks for including my book. I'm so glad you enjoyed it! Yummy! and guess what? I am going to Julie/Julia this weekend for the 2nd time! I liked The Sharper Your Knife, the Less You Cry: Love, Laughter, and Tears in Paris at the World's Most Famous Cooking School by Kathleen Flinn.